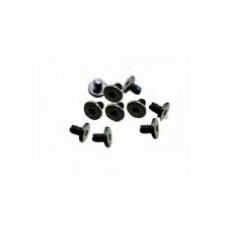 Pack of ten iPad LCD screen retaining screws. If you have worked on your iPad screen you know how easy it is to loose these small screws when removing the screen. If you are missing a couple of screws this is perfect, we sell a pack of ten so you can replace any you may have lost. * Original Apple LCD Screen Screws. * 10 Screws Per Pack.